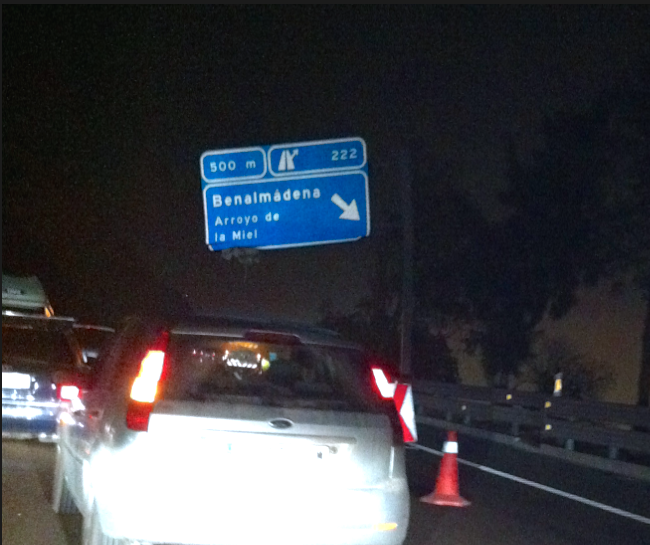 There was a car accident on A-7 highway last night, 28th of August, around 10pm close to Benalamadena Arroyo de la miel. Last night around 10pm there was an accident on the A-7 motorway. It is not confirmed, but most probably a big truck crashed the Benalmadena Arroyo de la Miel sign making it move from its place and causing a 4km stop in the highway for couple of hours. It is not known if anybody got hurt, but there were small rocks on the highway, exactly like from a truck that was carrying and dropped them during the accident.